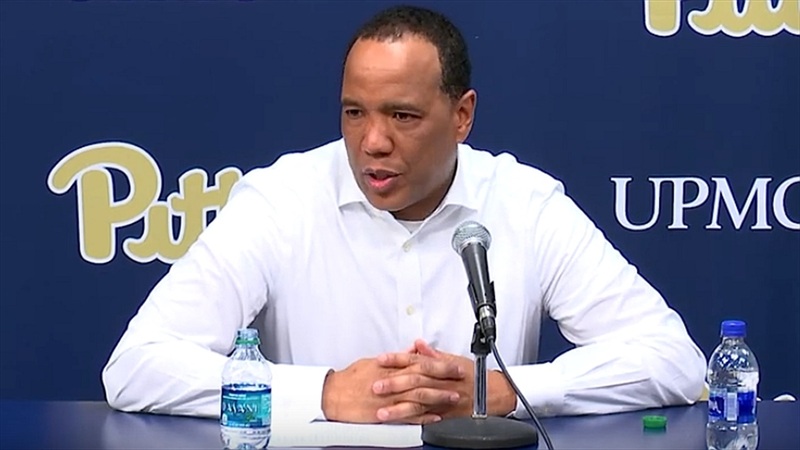 NC State's Kevin Keatts: "We Played Through Some Adversity"
NC State head coach Kevin Keatts met with the media after his team's 79-76 road win at Pittsburgh. First of all, Jeff’s doing a great job with the program if you think about what he’s done. Obviously, they’re a young team and playing here at home, we knew it was going to be a tough game. I watched the film of when they beat both Florida State and Louisville here. Give our guys credit. I thought we played a complete game. We played through some adversity. I thought we made some plays down the stretch. I thought our defense was great the last four minutes of the game. When you look at our big three, when I say Braxton Beverly, Markell Johnson and C.J. Bryce, I think this is the first time that I’ve seen all three of those guys play well on the same night, but I’m excited to get the win. As you guys know in the ACC, any road win is golden. I thought we shared the basketball. When you look at it, we have 17 assists on 26 made field goals. We’re a good basketball team, but we share the ball. We are competitive in the locker room and once the game is over, I try to get these guys to focus on the next game. I thought they were great today. I thought we were focused, we were sharp. I thought we tried to follow the scout report and that was good. We just said stay the course, do the things that we did to get the lead at halftime. But I wanted these guys to come out at halftime with a lot of energy; I thought they did. We made a great run and then obviously Pitt did a great job. We lost Wilson-Frame and he got going and cut the lead. I think they were on an 18-2 run. Give our guys credit because I don’t think we panicked during that run. We found ways to keep the score and keep playing. When you look at him in ACC play, I think now in the sixth game in a row he’s made at least three 3-pointers, maybe even four. We lost him a couple times – I think C.J. Bryce off penetration lost him in the corner. He came up strong side and that kind of got him going. I thought he was great. He made big shots. I know we’ll talk a lot about his offense, but I thought he was great on defense. For the most part, he guarded Johnson the entire time full court and did a great job. He played well, got to the free throw line, mixed his game up. He had 15 footers, he had 3-pointers. This was probably his best game back from his injury. When I look at his numbers, that’s Markell. I think he had 10 points, but more importantly he had eight assists and only two turnovers. Their record doesn’t indicate how good they are. They play hard and it reminds me a lot of my team year one. Jeff’s trying to find the pieces that play together, but those two young guards are really good. They put a lot of pressure on the defense. They always live in the paint and they do a tremendous job. It’s a good Pitt team here at home.